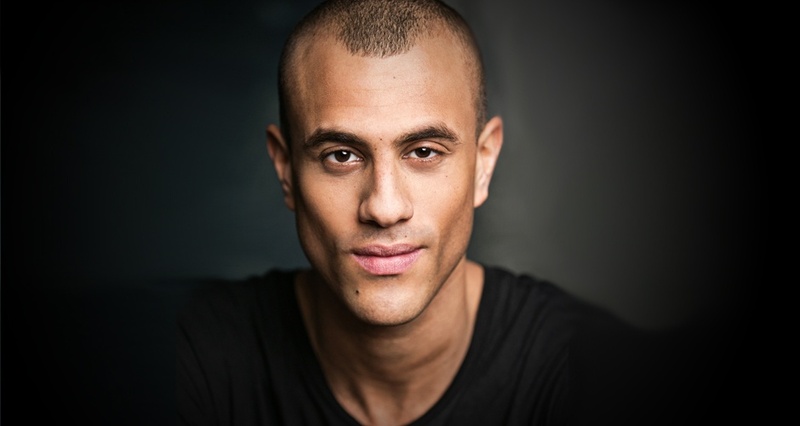 From working along side Beverley Knight in Memphis to his current role in the westend smash Guys and Dolls, we caught up with Momar Diagne to find out more about life on the West End. I started training at my local dance school when I was 11. Before I joined the dance school I watched one of the productions they put on. It was The Wizard of Oz and the show had a huge impact on me. After watching it I got obsessed with the music and the choreography and from that moment I knew that this is what I wanted to do as a career. The highlight of my career so far has most definitely been performing in my last job, Memphis. It is the most amazing show and it was really challenging for me, but so rewarding. There was a silly amount of talent in the cast and I learned a lot from all of them. But not just the cast, the whole team around the show was amazing. I can safely say it was the best year of my life. If you could work with anyone in the industry, who would it be and why? I would love to work with Drew Mconie. He's doing a lot at the moment and I love his distinctive choreography style and creative vision. What would your dream role be an why? I would love to play Fiyero in Wicked. First of all because I think It would be a fun part to play, but also because I really love the show from the moment it first came out and I'd love to be a part of it. But I'd also love to play a deeper and more complex role like Robert in Stephen Sondheim's Company. Do you suffer from nerves and if so how do you overcome them? Yes, on certain occasions I do. For example if I have one of my friends in the audience or when I go on for my cover. Most of the time once I get on the stage the nerves go. But there's been a few times where they didn't go and then you just have to try your best to relax and get on with it. What advice would you give to people looking to follow in your footsteps? I would say the key is to always work hard and have your goal in focus. But make sure that you're having fun at the same time. Sometimes if you're too serious about it and work too hard, it can have the opposite effect. You have to have a release every so often. Sit down you're rocking the boat. It's such a fun number to do and it always gets a great response from the audience. Whats your favourite part of the show to dance and why? My favourite dance is the crapshooters dance. The choreography is great. There is some lovely contemporary work in there but also floor work, tricks and lifts. I also like it because it's a boys number and it needs great team effort to make the number look good. Us boys in the cast get on really well, we always have a laugh and I really enjoy dancing with them. Whats it like working with Carlos Acosta? It was amazing to work with Carlos. Unfortunately he didn't teach us the choreography as he was really busy with his own show. But when he finally came in to clean the numbers it was amazing. First of all he is a bit of a legend in the dance world, so to be in one room with him was already an experience in itself. But after he watched the numbers and explained the motivation behind his choreography and even demonstrated some of the choreography, it all made so much more sense. I would love to work with him again. Why do you think people should come and see Guys and Dolls? Because it really is one of the best musicals written. 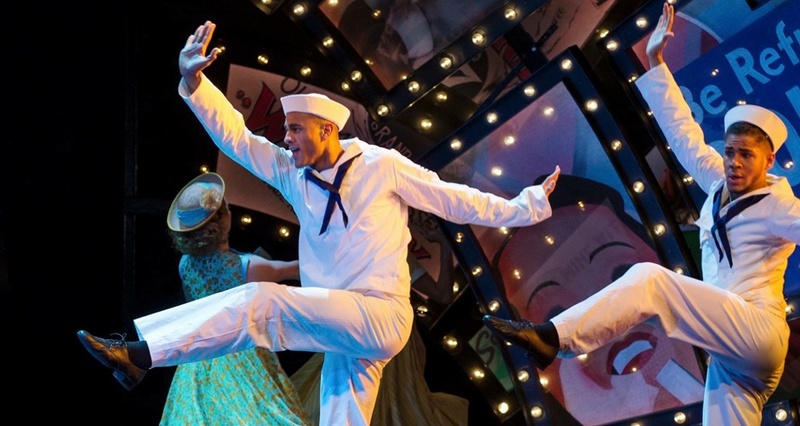 It's a fun feel good show and you'll leave the theatre with a smile on your face. You can catch Momar in Guys and Dolls at the Phoenix Theatre. Book Here. 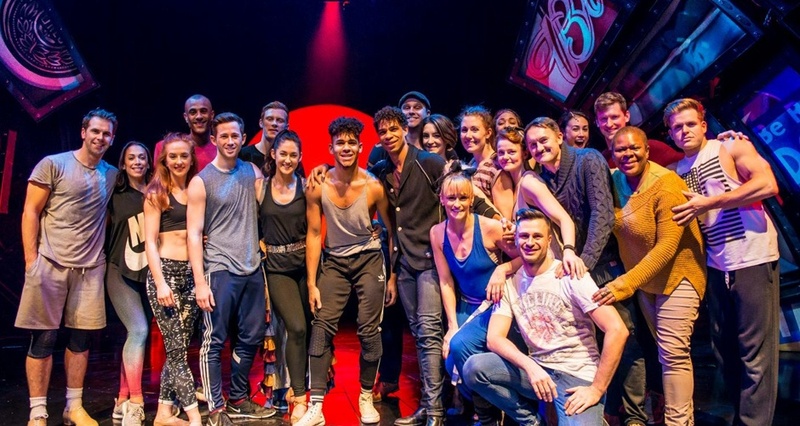 The show is also on tour with another great cast.